Aswathy is a BTech graduate in Information Technology. She is having 3 plus years of experience in the IT field. 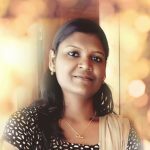 She is a Magento enthusiast, who is passionate about exploring the platform.